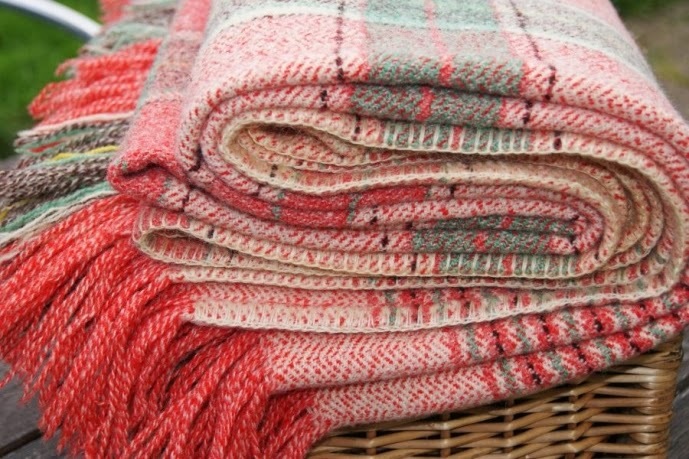 Homespun Stitchworks..... For the love of vintage: Vintage wool blankets ....... finds and stashes. 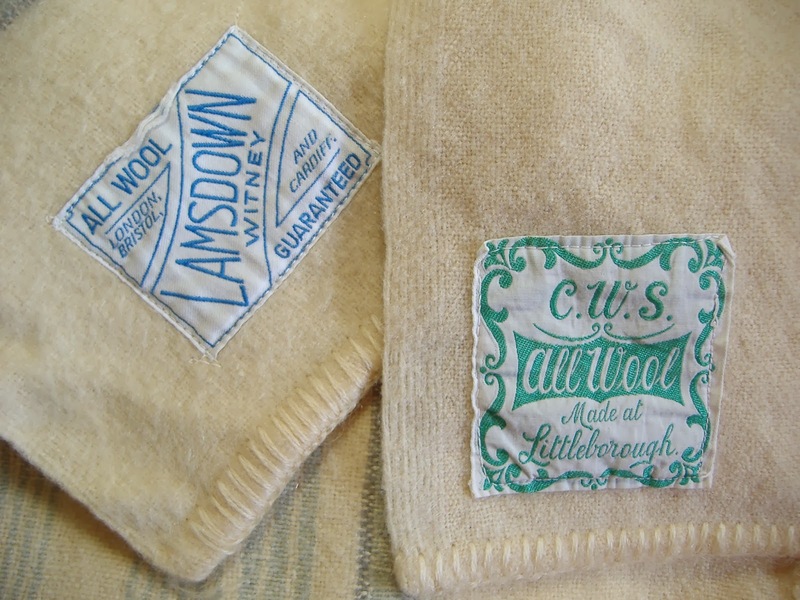 Today I am talking blankets, the vintage pure wool ones. I use them as some of my bases on my journals and always cut my vintage Christmas stockings from them. For the Christmas stockings I think it is important to have a robust fabric to stuff little gifts into. I embroider, applique and generally embellish them before sewing the stocking together on my machine. It is important that the stitching is strong and I often go around twice. In addition to that she is extremely good at covering buttons with vintage fabrics and does not waste a scrap! Have a lovely day and Happy Stitching !